Palo Alto, CA - MacDonald, Dettwiler and Associates Ltd. ("MDA" or the "Company") (TSX: MDA), a global communications and information company, today announced that its subsidiary Space Systems Loral (SSL) was selected to provide a next-generation satellite constellation for high-resolution Earth imaging to DigitalGlobe, the global leader in Earth imagery and information about our changing planet. 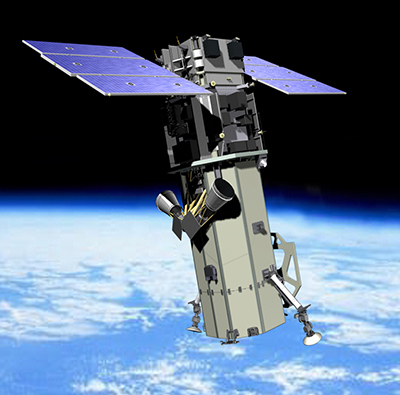 Called WorldView Legion, the Low Earth Orbit (LEO) satellites will more than double DigitalGlobe’s high-resolution capacity in important regions. The contract is valued at several hundred million U.S. dollars. Space Systems Loral (SSL), is a leading provider of commercial satellites with broad expertise to support satellite operators and innovative space related missions. 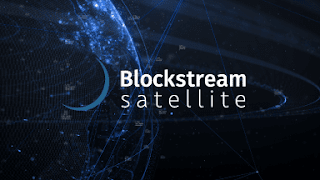 The company designs and manufactures spacecraft for services such as direct-to-home television, video content distribution, broadband internet, mobile communications, and Earth observation. As a Silicon Valley innovator for 60 years, SSL’s advanced product line also includes state-of-the-art small satellites, and sophisticated robotics and automation solutions for remote operations. For more information, visit www.sslmda.com. The Company's common shares trade on the Toronto Stock Exchange under the symbol MDA. This release contains forward-looking statements and information, which reflect the current view of MacDonald, Dettwiler and Associates Ltd. and its subsidiaries (collectively “MDA” or the “Company”) with respect to future events, financial performance and operational capabilities. The forward-looking statements in this regard include statements regarding the award of a contract. Any such forward-looking statements are based on MDA’s current expectations, estimates, projections and assumptions in light of its experience and its perception of historical trends. The factors and assumptions underlying the forward-looking statements in this release include, but are not limited to, the contract not being terminated. Any such forward-looking statements are subject to a number of risks and uncertainties that could cause actual results to differ materially from current expectations. MDA cautions readers that should certain risks or uncertainties materialize, or should underlying assumptions prove incorrect, actual results may vary significantly from those expected. The risks that could cause actual results to differ from current expectations include, but are not limited to: risks associated with executing the strategy and plans for future satellite constellation production and operation; the introduction of competing technologies; unexpected technical or marketing difficulties; unexpected deterioration of economic and financial conditions; changes in government policy and regulation; risks associated with satellite manufacturing, including competition, cyclicality of end-user markets, contractual risks, creditworthiness of customers, performance of suppliers and management of factory and personnel; risks associated with operating satellites and providing satellite services, including satellite construction or launch delays, launch failures, in-orbit failures or impaired satellite performance; the hiring and retention of key employees; risk associated with financial factors such as volatility in exchange rates, increases in interest rates and restrictions on access to capital; failure of third parties and subcontractors; failure of systems to meet performance requirements; failure to anticipate changes in technology, technical standards and offerings or compliance with the requisite standards; and other risks including litigation. Readers should not place undue reliance on any such forward-looking statements, which speak only as of the date they were made. Except as required by law, MDA disclaims any obligation or undertaking to update or revise the information herein.